Lotta Lepistö (Cervelo-Bigla) has won the last stage of the OVO Energy Women's Tour. The Finnish champion crossed the finish line ahead of Giorgia Bronzini and Marianne Vos while Coryn Rivera consolidated her overall victory. The Finnish rider was victorious on the last day of racing in the British race after finishing second on the day before. "Finally a win. The pressure is off the shoulders," said Lepistö. "I won this stage two years ago here and it’s pretty cool. It’s a big thing to have a win in this race. This tour didn’t start well for me as I was struggling and the legs weren’t good but on stage 3 they started opening up. I could feel the form is coming and it gave me the confidence." Even though there were splits in the peloton throughout the stage, it all came to a final sprint in which the rider showed to have better legs than Giorgia Bronzini (Cylance Pro Cycling) and Marianne Vos (WaowDeals). 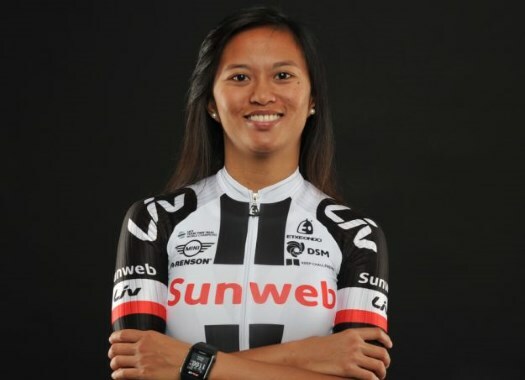 Coryn Rivera crossed the finish line safe with the peloton, taking the overall victory of the race. "Being in the leader's jersey is about being calm and in control and the whole team were exactly that throughout the whole week," said the American at the end of the day. "Today was a difficult stage but we set the pace on the climbs and were in good position all day. This is something special and new for me. "I'm really proud of the work that I've put in and the work that the team and staff have put in this week. We played to our strengths with the intermediate sprints, we knew that this race comes down to seconds so we put our energy in that at the beginning of the race and this proved to be the difference at the end. I'm really proud to have taken the win, the jersey belongs to the whole team." Vos climbed to the second step of the final podium and her WaowDeals teammate Danielle Rowe was third.